like venue information and ticket links. 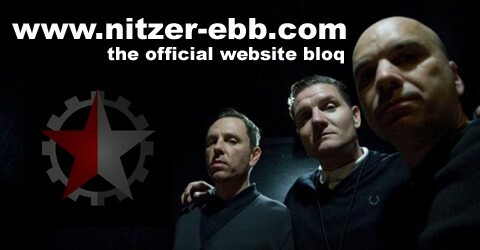 Be also up-to-date and get the latest NEP news at the new american nitzer ebb icp bloq on www.nitzerebbicp.wordpress.com! Check out the videos of doug’s berlin performance on saturday, September 18th, 2010 on hazel’s showcaveshowcave youtube channel and on the NEP channel as well. Douglas will performing in berlin tonight as DOUGLAS J. MCCARTHY at an art event called Black Magick. It’s actually a performance with new electronic music, no singing. You know you are getting old when the candles cost more than the cake….. don’t worry! Today, Douglas is celebrating his 44th Birthday! The Nitzer Ebb Network wishes all the best and much health! Leave your Birthday greetings to Doug on Nitzer Ebb Facebook Site.